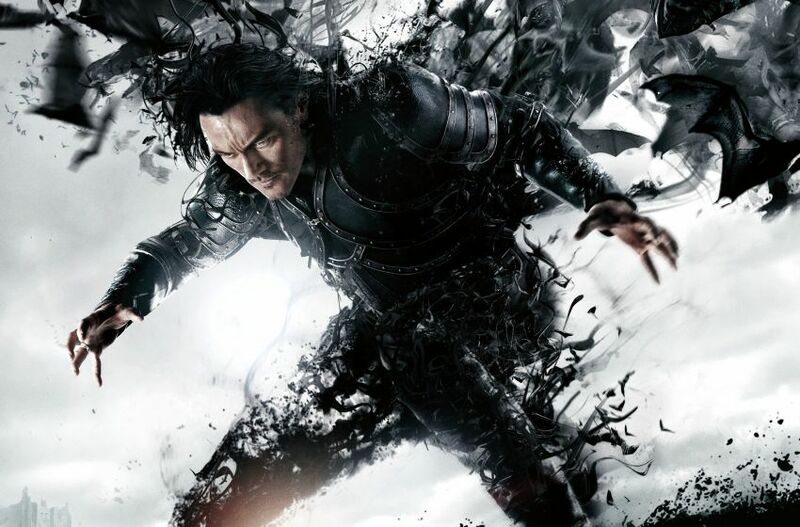 Dracula Untold has (no pun intended) universal appeal: vampires have become pop culture, the action element transcends language, CGI impresses everybody, and Luke Evans (The Hobbit: The Desolation of Smaug, Fast & Furious 6) is a handsome, international star in the title role. Rookie motion picture director Gary Shore offers an action/ adventure/ war interpretation of the vampire genre. The direction here averts the typically-associated horror tastes, but not by all means. A few moments register on the creepy scale thanks to veteran character actor Charles Dance (“Game of Thrones,” Gosford Park) as the lackluster-named “master vampire.” Shore’s film falls under the recent trend of big budget, CGI-laden, action blockbusters with character stereotypes that hope to make a big splash at the international box office. Dracula Untold began Universal Studios monster movie shared universe without a bang. Unfortunately, the character stereotypes: brave, burdened hero, beautiful, doting wife, terrifying vampire, ridiculously evil villain, and perpetually terrified child are a direct result of a film favoring broad strokes over finding an audience. Dracula Untold lacks substance with unmemorable, generic characters outside of Evans’ lead performance and Dance’s ghoulish demeanor. The film begins and ends with a narration from Dracula’s son—if only just to make us root for and not fear the character like past celluloid representations. After this, his son becomes more of a MacGuffin than a person—a prize of Dominic Cooper’s (Abraham Lincoln: Vampire Hunter, An Education) antagonist sultan. For two crucial characters, the villain and the son only have a handful of scenes between them. Luckily, Evans devoted, tortured performance keeps the viewer invested throughout the film. His Dracula doesn’t begin as Dracula, instead he goes by Vlad Tepes—a Transylvanian prince returning home at film’s start. He wants to kick the “Vlad the Impaler” routine and rule in peace without worry from the warring Turks. Bela Lugosi, Christopher Lee, and Gary Oldman this Dracula is not. Instead, Vlad is a brave, superhero-type willing to reach any depth to keep his kingdom and family safe. He even wears an enormous red cape and quickly scales a mountain with his bare hands while wearing a suit of armor—and that’s just before he becomes a vampire. It appears every blockbuster needs a comic book super hero element now. In order to save his people, Vlad finds no other option than to make a deal with the devil. After this, the film becomes a vampire version of “Breaking Bad” as Dracula’s decision to become a vampire quickly spirals out of control. His powers are more awe-inspiring and on a far grander scale than the intimate, terrifying Draculas of old. Dance’s performance easily trumps all others despite appearing on screen for less than ten minutes. He plays the “master vampire,” the original vampire who made a foolish pact similar to Vlad’s. 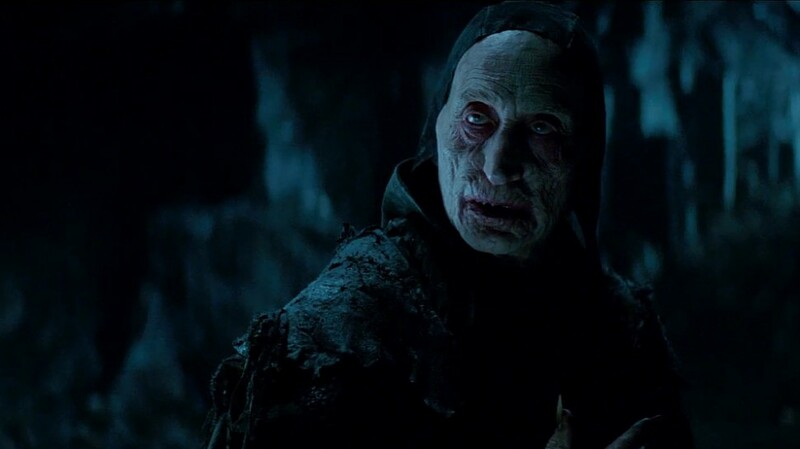 His scene contains the only element of horror as it’s the only scene where Vlad looks to be in any imminent danger. If Universal is indeed serious about the shared monster movie universe, keeping Dance’s character in the mix would certainly liven things up each time he appears on screen. 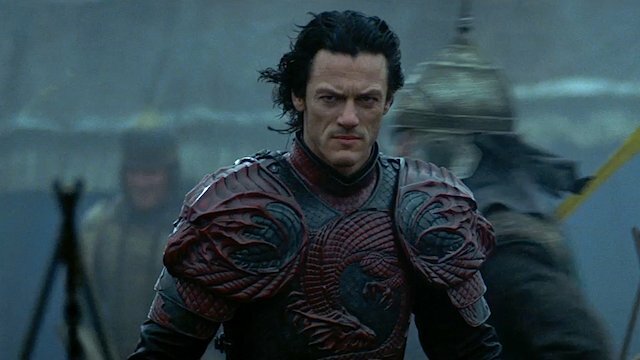 If Dracula Untold is an indication for the direction of the franchise, expect CGI. Oodles of CGI. Granted, the film’s special effects are expertly crafted and look real. There’s simply too much. Vlad fights thousands of Turks by himself in the form of bats. He stands atop a monastery to magically summon every bat in Europe to flock his way. The master vampire dashes and slashes all about in his cave in super speed. The camera even admires vampire flesh burn for more than a moment. The on-screen CGI translation is top-tier, but memorable movies have memorable lines and you won’t hear a soul quoting Dracula Untold. Director Gary Shore’s rookie effort ends up a conventional blockbuster with tons of action reliant on special effects and little else. Rising star Luke Evans and veteran actor Charles Dance turn in admirable performances in a forgettable film. If Universal remains serious about their monster movie endeavor, it would pay to remember stronger writing and organic settings have a much better track record. Blockbusters will always need CGI here and there, but special effects do not a story make.